This camera drone features one touch take off and landing and a HD camera. It is a great choice for beginners as the altitude hold function makes it easy to fly. Controlling the drone is a breeze for beginners and the hold function stabilizes aerial photography. 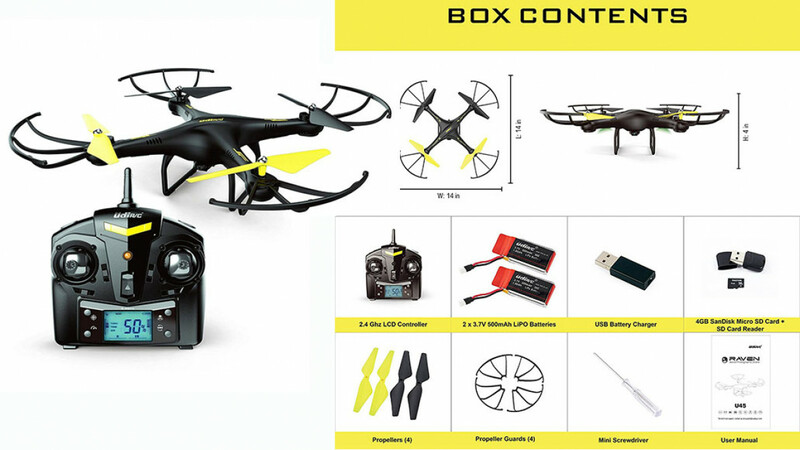 This is the ideal beginner drone with a lot of latest features typically found on higher end models. You can use it to capture 720p high definition aerial photos and videos with the 2MP camera and a 4GB SanDisk Micro SD Card is included.